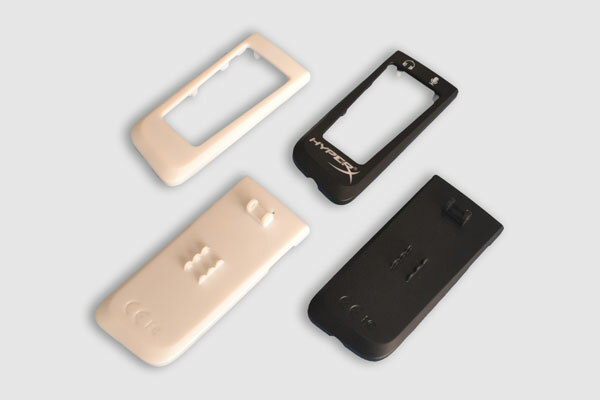 This product is a smart phone housing with 75mm * 38mm from plastic injection molding, the thickness is just 11/15mm. When we manufactured production product for customer, there were some agreements in both customer and us. Saving the molded piece cost. When a customer comes to make a business successful, he generally takes cost in an important role. The front and back smart phone is molded out of same Injection material – ABS and it must be assembled as a set. In that case 1+1 cavity is the ideal mold design to lower the pieces cost. The customer preferred to soft touch coated the smart phone for its aesthetics. To enhance the coating adherence, it needs a little tip on the mold finish. We made the mold finish to achieve SPI-B2, which looked as non-glossy surface, paper polished with 400 grit. It definitely helps the product surface finishing with better quality. Tooling lead time was just in 11 days, we did complete the production in 15 days.